Well…it wasn’t exactly a plan to have that happen. More like an incredible miracle! As ANYONE who knows me, especially friends and such who knew me in the 1980s, I LOVED MADONNA. Oh yeah, I had every album on vinyl (later to be purchased over and over as formats kept changing!) as well as any 12 inch single I could get my teenager hands on! Madonna adorned my walls in my room (AND Duran Duran). I wore shitloads of rubber bracelets in every color (’cause it wasn’t a thing back then) especially black & white ones. You could usually get these things from gum ball machines for 25 cents for 2. I had lace gloves, knock off Wayfarers and crucifixes. It was not only a shock to my mother, but to the entire school. You know that town in Napoleon Dynamite? Yeah, that’s what everyone dressed like. I was the freak. Eventually I grew to enjoy this status – as more “freaks & geeks” came out of the woodwork and we became friends. Despite growing up and listening to more alternative music, I’ve always kept my eye on Madonna. 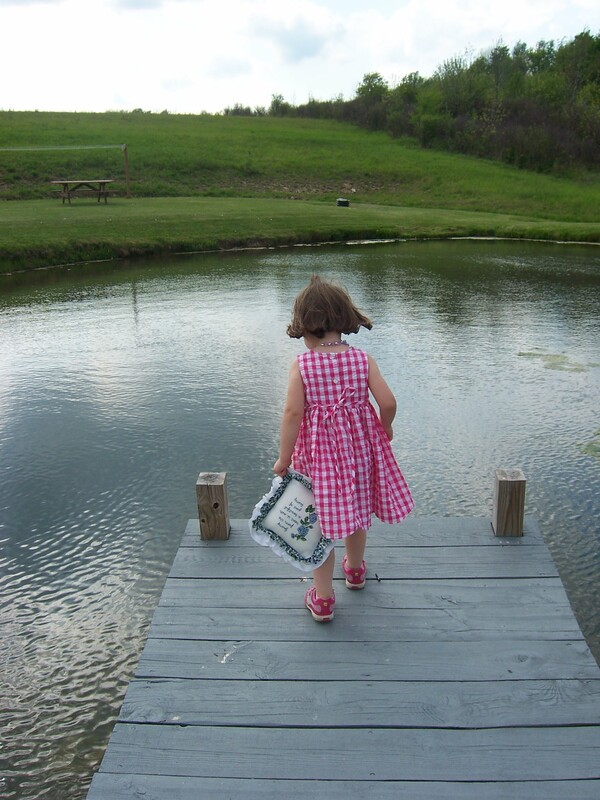 More often then not, she was doing something that I just totally “got.” Sometimes, I emulated her, even as a twenty-something. I was artistic, independent, crazy and passionate. 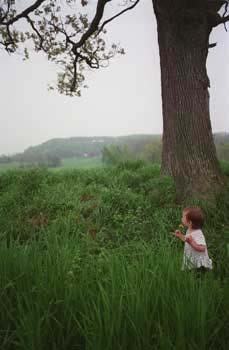 I showed my photography and hung out at dance clubs. I even tried to play house for a while. Life went by. I became a “stepmom” to my boyfriend’s daughter Kate around the time that Madonna’s daughter Lola was born. Eventually we married and became official. It was kinda cool to see Kate & Lola growing up in the “same” teenage world. Eventually, I stopped living in parallel to my Leo sister. I worked a regular job. I stopped thinking about getting rich or famous and just enjoy my life as it unfolded. I did get to have my very own baby girl! Pretty much all my creativity had gone into that project and work. Thankfully, I got a great group of friends that got me back into being creative again. Of course, by this time, I was showing symptoms of what we know now is ALS. Now, because of my Scooby Gang, I keep an eye out for local or interesting projects I can participate in. I saw the posts on Facebook about Madonna’s new project and was like – cool! Of course I’m gonna do something! 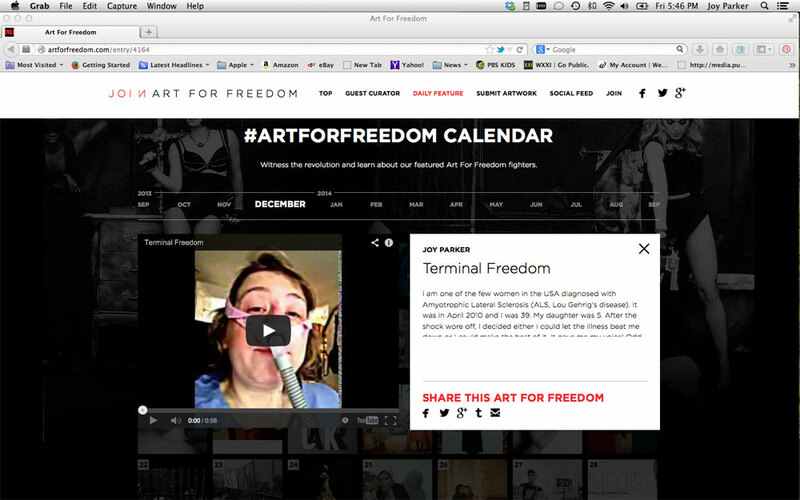 So in November 2013, I uploaded a video piece to the Art for Freedom project about having ALS and what freedom means to me. More about project. Crazy thing is, by the time I’d gotten around to doing some kind of artwork for this, I forgot there was a prize of some sort. Plus I did it “off the top of my head,” no script. Messed around with some settings in YouTube to make it look arty. That was it. 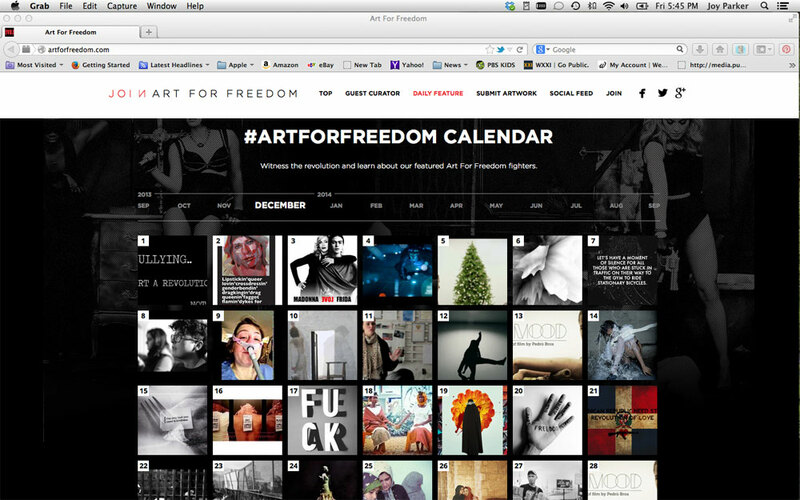 Apparently, by December 2013, Terminal Freedom was chosen to be part of December ‘s Art for Freedom by celebrity curator David Blaine. The video was highlighted on December 9th. I had forgotten about looking to see if it ever made it to the site. I never thought anyone would watch it! But I entered something so that was enough for me and I went back to my regular work. Never mind the grant money — I couldn’t get past that someone WATCHED that video! Not only that but my teen idol had WATCHED it! I had two people come in to look at the message on my computer! Holy crap! MADONNA had recognized me as an artist. Well and David Blaine too. That’s also when I found out about being featured in December, etc. I chose to give this money to the MDA Rochester and The ALS Association, Upstate NY Chapter because I do a lot of fundraising for and receive services from both of them. 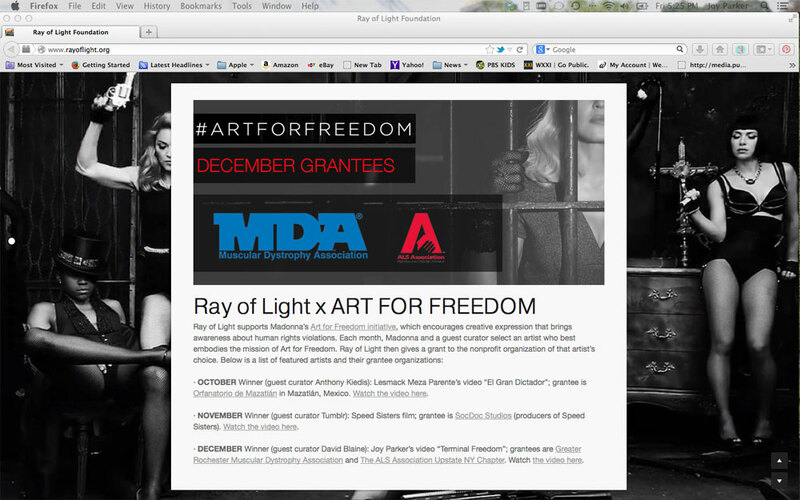 Today I was given the thumbs up from Ray of Light that I was now added to the website. Check it out. I may be dying from a terminal illness, but I am still making an impact – on my Community and the World. Now it’s your turn to Express Yourself ! Open Your Heart and let in love. Put yourself out there. Life is crazy!